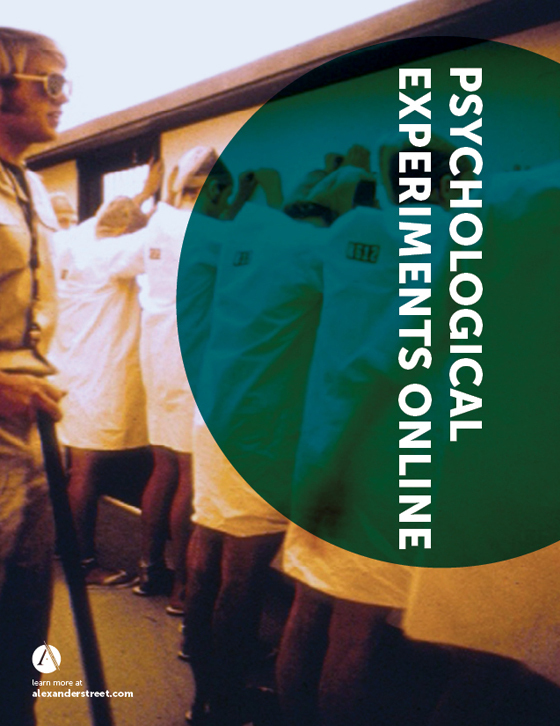 Psychological Experiments Online is a multimedia online resource that synthesizes the most important psychological experiments of the 20th and 21st centuries, fostering deeper levels of understanding for students and scholars alike. The collection pairs 65 hours of audio and video recordings of the original experiments (when existent) with 45,000 pages of primary-source documents. 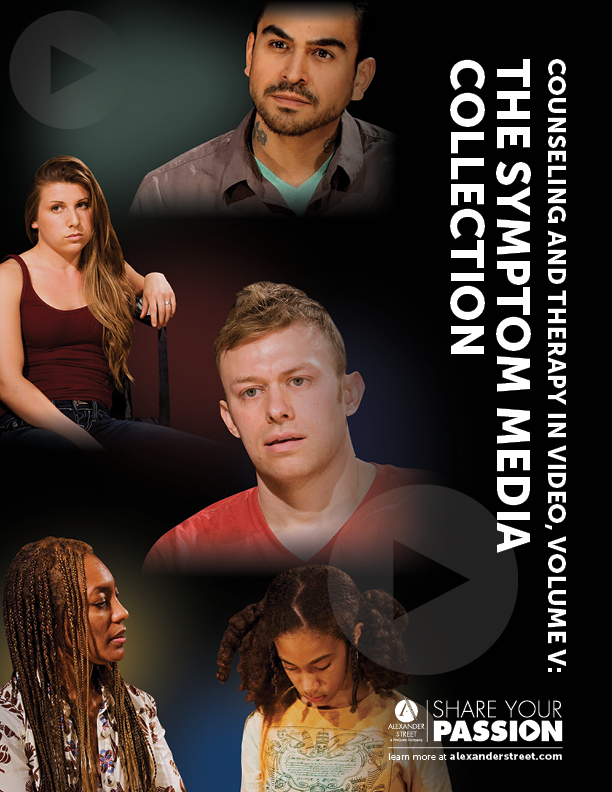 It’s packed with exclusive and hard-to-find materials including notes from experiment participants, journal articles, books, field notes, letters penned by the lead psychologist, videos of modern-day replications, and modifications to the original experiments. Psychological Experiments Online features an array of archival material scholars won’t find anywhere else from content partners including the Center for the History of Psychology and Yale University. Documents include Stanley Milgram’s films and personal papers along with Philip Zimbardo’s detailed notes from the Stanford Prison experiment to accompany his film Quiet Rage. 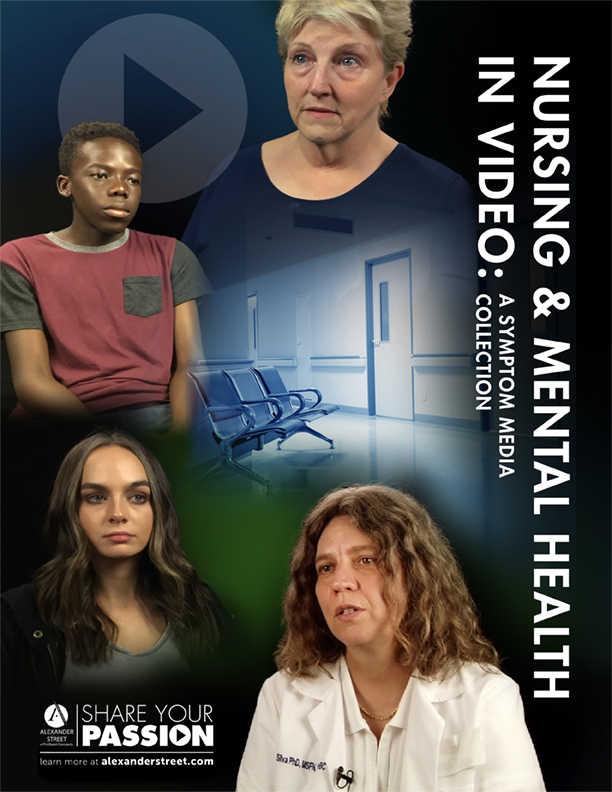 Contemporary interviews with Columbia University's Betsy Sparrow look at the latest developments in the field related to prejudice, conformity, cognitive dissonance, and learned helplessness. These rare materials shed new light on the studies that have shaped contemporary understandings of key psychological issues such as conformity, power, obedience, delayed gratification, responsibility, aggression, conditioning, false memory, bias, prejudice, ethics, nurture, motivation, perception, and judgment. 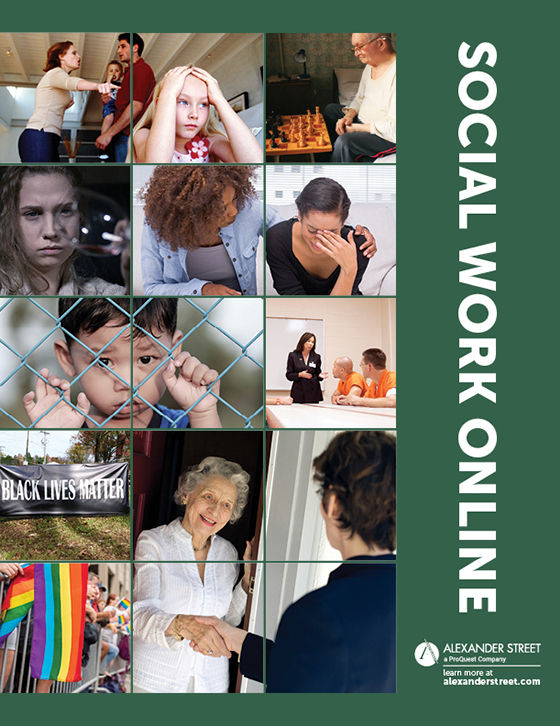 The impact of the featured studies is far-reaching across fields as diverse as sociology, business, advertising, economics, political science, law, ethics, and the arts. 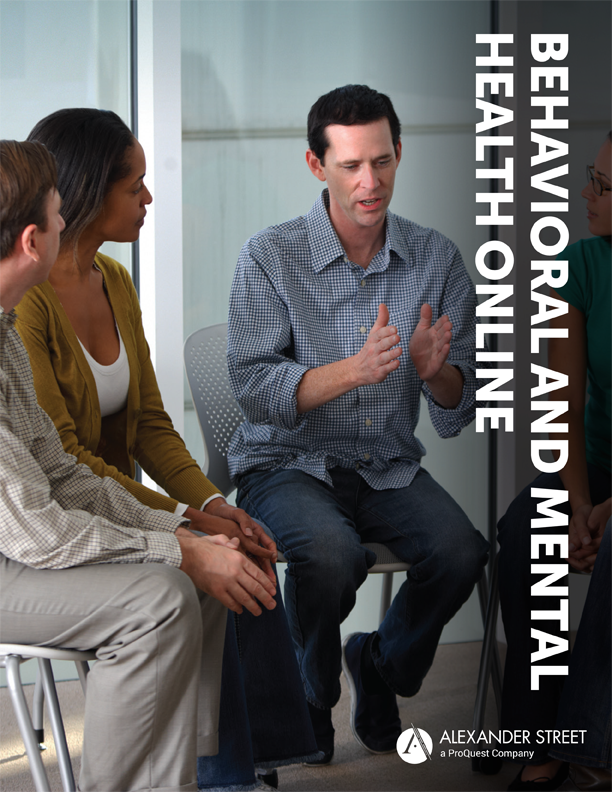 Psychological Experiments Online will include an ever-growing selection of course activities and learning objects designed to increase student involvement and comprehension of the core materials. These items—including quizzes, assignments and exercises, discussion questions, interactive timelines, guidelines for in-class recreations of experiments, and multimedia playlists—will encourage students to think critically and examine assumptions, evaluate evidence, and assess conclusions. What are the most frequent ethical criticisms of Harlow's monkey experiment and Johnson's monster study? What ethical considerations, if any, did Harlow and Johnson consider in the design of their experiments? How has the bystander effect study affected contemporary laws and government policies? Does the bystander rule apply to internet users in a time of social media? What specific questions did Zimbardo use to assess a candidate's psychological stability for the Stanford Prison experiment? If this experiment were recreated today, how would you expect this questionnaire to change? How does the 1959 cognitive dissonance study illustrate how consumers make product purchasing decisions? Provide contemporary examples of marketers and advertisers applying the experiment's findings in their campaigns. 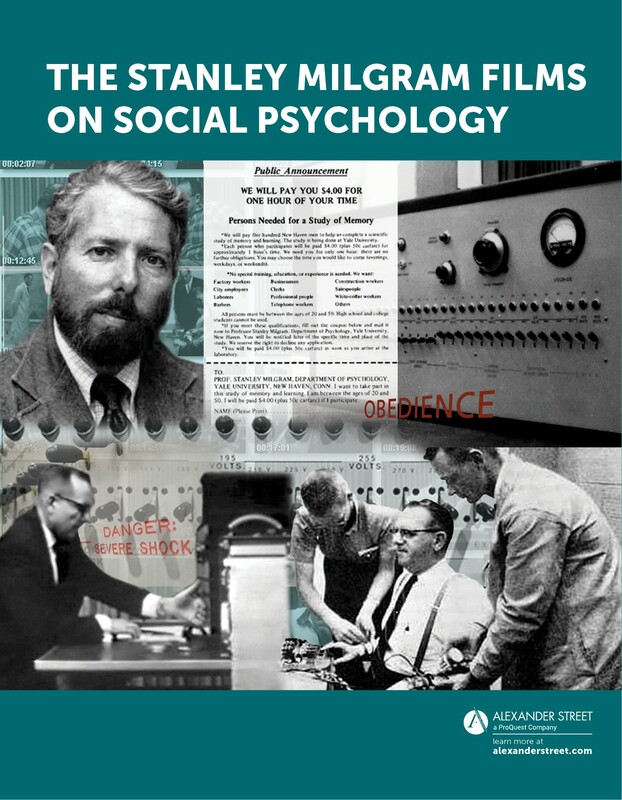 What obstacles did Milgram face when gathering data for his small world experiment? What conclusions did he reach? How does Asch's conformity experiment affect how we view group processes? Do these same principles apply to group processes conducted through social media? Based on Elizabeth Loftus's eyewitness testimony research, discuss whether children's eyewitness reports are reliable and the controversy of reports over repressed and recovered memories. The Robber's Cave experiment was the third in a series of experiments conducted by Sherif and his colleagues, with the previous two reaching very different conclusions. Why did the results differ so greatly? Do these previous experiments invalidate Sherif's conclusions from the Robber's Cave experiment? Why or why not? 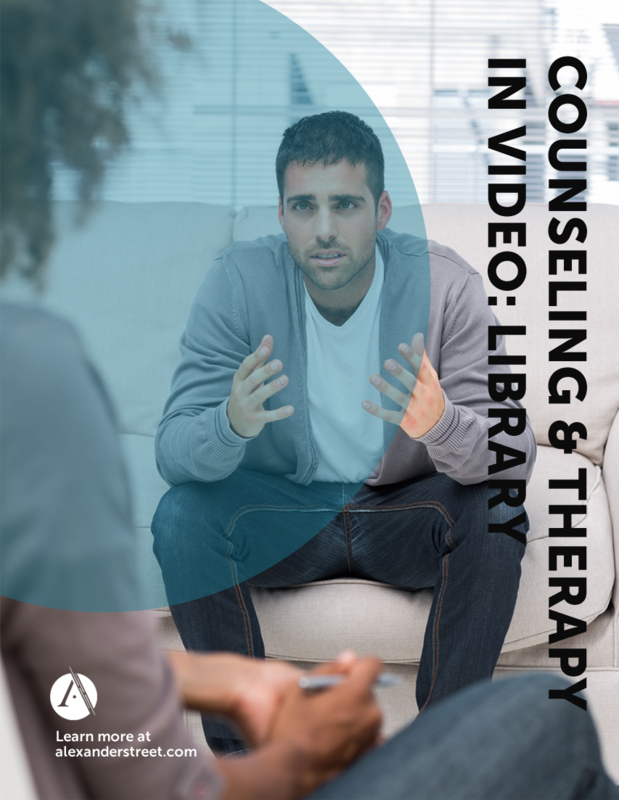 Psychological Experiments Online is an online collection available to academic, public, and school libraries worldwide via annual subscription or one-time purchase of perpetual rights. No special setup or software is required—all you need is an internet browser. 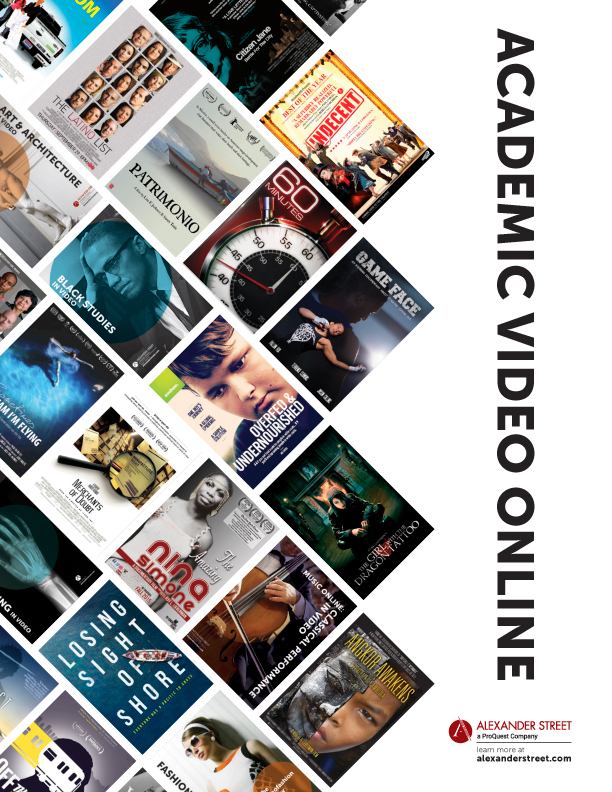 The combination of classic works that defined the discipline with current perspectives found in the teaching materials and Web-based resources bring a fresh perspective to the work of these research pioneers.